Pricey bares all in her debut TV appearance following a very tough year. 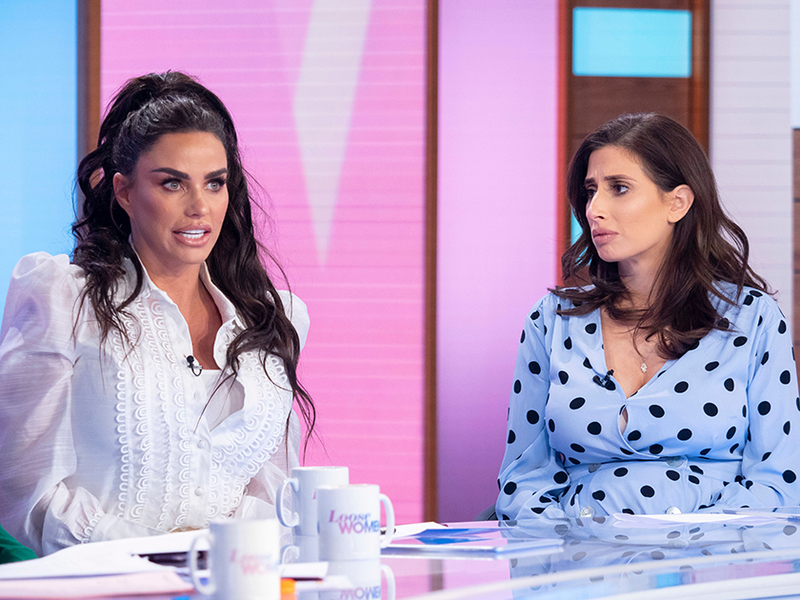 Appearing on today’s edition of Loose Women, Katie Price has finally addressed her ‘toughest year yet’ in a very frank chat with the panel. Having laid low in the press throughout the tumultuous chain of events, KP has endured countless headlines concerning her rehab stint, claims of financial woe and speculation into the wellbeing of her brood-of-five. Following her recent legal triumph, with MPs backing Katie’s Harvey’s Law, Katie visited the ITV studios for her very first interview regarding all the drama. Addressing her time at The Priory, Katie was very quick to nonsense the claims she had been admitted due to addiction issues – reasserting she had sought help after she was diagnosed with PTSD. Speaking with the panel, Katie explained: ‘[Doctors] said I needed severe traumatic rehabilitation. It was to do with what had happened to me at the beginning of the year. ‘In one go, I got told my mum was dying, my dog got run over and killed on my driveway, my horse got knocked over and killed outside my house. Admitting she began ‘self-medicating on drugs’ to cope with the emotional trauma, 40-year-old Katie addressed the status of her five children throughout the difficult period. Revealing that the father of 13-year-old Junior and 11-year-old Princess, Peter Andre, had become involved, Katie shared: ‘The kids are all back to normal…. I don’t blame Pete for what he did. Revealing it’s onwards and upwards for the Pricey, Katie then addressed Harvey’s Law – having managed to win the backing of MPs to form a legal aid against the online abuse of individuals with disabilities, such as her 16-year-old son Harvey. ‘I would say out of my whole career this is the best thing I have ever done, achieved, and to make it a law that online abuse will be a criminal offence is just amazing,’ she concluded.